With the growth of the Alt-Right and the Trumpist movement in the US, the Left has grappled with how to understand and define fascism in the 21st century context. The conditions, players, and tactics are fundamentally different than its first manifestations, and so many antiquated studies have left inarticulate descriptions or inadequate culprits as roadmaps for understanding fascism today. Instead, these twenty-five statements are a proposal for how to understand the essential core of fascism–what binds it together as a modern impulse despite its different manifestations across cultures and time. Fascism in the 21st century has direct continuity to the insurgent movements that tore apart Europe, culminating in the Second World War. The methods, tactics, and strategies have changed, but the potential of the genocidal-racialist machine remains, and the ideologies are linked through history. Fascism does not necessitate a specific type of statecraft (or a state at all), nor does it require a particular party apparatus, a fixed demographic of finance capital, or economic depression. What it does require is mass politics, popular support, and the ongoing destructive upheaval of class society. When inequality is sanctified, identities made to be fixed and essential, and a mythic past is demanded in a distinctly post-industrial, modern world, fascism is the manifestation of the “True Right,” a distinct political identity revolting against democracy and equality. This real right wing exists throughout history, with fascism acting as the “reactionary modernist” version of the tendency towards violent inequality and essentialized identity. Fascism represents the iconic manifestation of the “True Right,” which then presents itself as a repudiation of the founding principles of liberal democracy. Nihilism, as an apolitical destructive force, is a part of the fascist process, one that requires a destruction of the old infrastructure of morality so that a new mythic one can be built. Fascism often tries to colonize methods used on the Left/post-Left to achieve this creative destruction, disingenuously adopting revolutionary deconstruction. The impulsive nature of reactionary violence is stoked by fascist ideology and ideologues in an effort to center an irrationalist response to the unbinding rage of modernity. In a culture that trains the working class in systems of bigotry, energy is forced toward scapegoating rather than directing that alienation at the oppressive institutions that birth it. Today, fascism is largely built on metapolitics rather than explicit politics. Fascist projects attempt to influence culture, perspectives, and morality as precursors to politics. This puts much of their work into the realm of art and music, philosophy and lectures, counter-institutions and counterpower. This is the development of a fascist value and aesthetic set, not simply a fascist political program. The values set by fascists enable them to use methodologies traditionally associated with the Left, including mass politics, postcolonialism, anti-imperialism, and anti-capitalism. Fascists employ the power of the marginalized classes and redirect their anger against systemic inequality and alienation against other marginalized people, thus reframing the source of the crisis. Because of their strategic and revolutionary orientation, fascists have historically been able to draw on disaffected areas of the Left. There is no revolutionary tradition that is free from far-right entry, wherein the flaws in radical Left analysis and practice allow for fascists to present an alternative and recruit. Nationalism is itself considered the core motivating vision in fascism, yet it is actually only a subset of the larger identitarian trend. Tribalism, of which nationalism is only one type, is the key component of this assertion of essential identity. Nationalism is a version of this that will always be tied to the nation state, and therefore tribalism placed in a modern context necessitates itself through nationalism, but this is not universal. The modern fascist movement redefines itself consistently in praxis, and reimagining that tribalism means that how they divide up tribe, and the social authorities that reinforce the boundaries of that tribe, can change. Ethnic nationalism is a foundational principle of fascism today, a type of racial tribalism, which is not relegated only to white nationalism or the civic nationalism of Western nations. This draws on an ethnopluralist ethic of “nationalism for all peoples,” which attempts to ally with nationalist components of Third World national liberation movements, minority nationalist movements, and those resisting Western imperialist powers. When racial nationalism is used as a component solution to confronting oppressive powers, it makes itself the potential ally of a fascist logic that sees the answer to capitalism and imperialism in authoritarian forms of identitarianism. Fascism’s focus on immigration, founded on the desire for monoracial countries, draws on the anxieties that are often tied to Left organizing. The “offshoring” of jobs due to neoliberal globalization, isolationist rhetoric in the anti-war movement, labor institutions’ fears of immigrant workers driving down wages, environmental fears associated with population growth, the scapegoating of Islamic immigrants for supposedly repudiating liberal norms, and the smug liberal secularism of the US coasts, are all well mobilized by fascist movements attempting to use liberal modes of thought for their own anti-immigrant populism. The Alt-Right is the most coherent and fully formed fascist movement in several decades. The mislabeling of all Trump supporters as true Alt-Right adherents, whether those in Patriot or militia organizations, or those in New Right or Alt-Lite projects of right populism, has created a fuzzy media spectacle that misses the Alt-Right’s true motivations. The belief in human inequality, social traditionalism, racial nationalism, and an authoritarian vision founded in the resurrection of heroic mythologies are what distinguish the Alt-Right as a self-conscious fascist movement. Third Positionism, which draws Left ideas into fascist politics, is the dominant form of open fascism today. True fascist ideologues, the “idea makers” in these movements who currently make up the most radical element, necessarily consider themselves anti-imperialist, anti-capitalist, and opposed to current Western governments. Fascism has often been described as a process of multiple stages, in the way that it starts from a radical cadre and develops to the point of acquiring political power. But this is a description of a particular historical moment of fascism, rather than a universal description of its operational trajectory. This understanding should be revised for different periods and countries where power, influence, and social cohesion appear differently. For instance, in interwar Europe, party politics developed coalitions for state power, but in other times and places power could also involve the church, the media, or cultural centers. In modern America, fascists are allying with an online culture that helped the Alt-Right grow and take over influential cultural spaces with the ability to influence essential parts of the larger society. In the 21st century US, party politicians have waning influence while internet celebrities are more influential than anyone could have ever dreamed. While “The Five Stages of Fascism” described by scholar Robert O. Paxton outline the process by which fascism took power, and then went into decline in Europe before and during the Second World War, both the conditions and movements are fundamentally different now. Predicting the process for power acquisition and possible failure in a period when fascism remains primarily influential in culture and insurgent movements is impossible to predict fully in advance. The crisis for fascists today comes from the contradictions in their approach to their own growth. 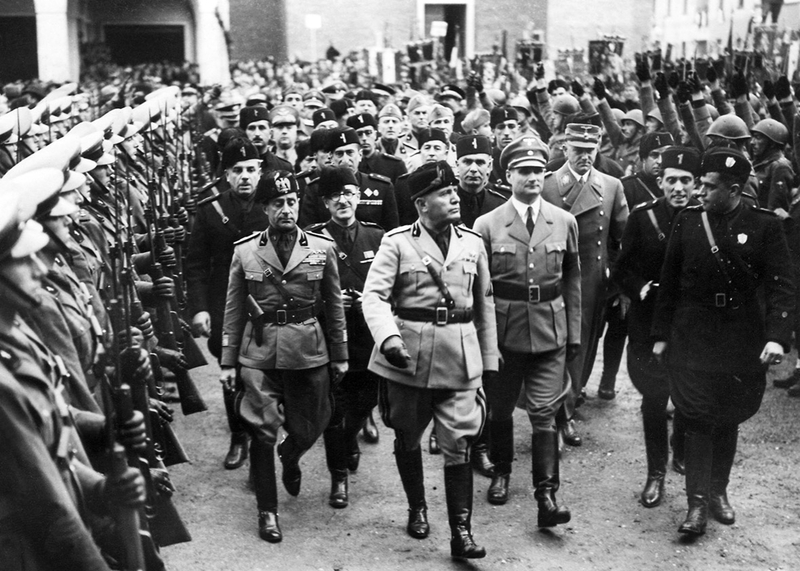 Fascism of the interwar period relied first on political organizing, which then had to consider media representation. The Alt-Right of the 21st century developed almost entirely online through a culture of memes and hashtags. While this has given them a huge jump in the expanse of their messaging, they have since had trouble translating this into real-world engagement and subsequent organizing. The vulgarity of their language, the style of their approach, and the demographics of their retweeters does not necessarily extend to radical organization and organizing. If fascists see cultural spaces as premeditating political ones, then the movement of fascists into cultural spaces is effectively political. If fascist public speech is intended to recruit and organize, then fascist public expression is indistinguishable from fascist organizing. If fascist organizing results in violence, whether explosions of “seemingly random” street violence, or genocide if they were to take power, then fascist organizing is fascist violence. Unlike other forms of revolutionary politics, fascism seeks to sanctify violence, built directly into their conception of identity and a correctly hierarchical society. Therefore, even the most muted fascist ideologue holds the kernels of brutality. Fascism can only hide its violence for so long. The history of white nationalism has been the history of bloodthirsty terrorism, a point which marks all fascist parties and organizations in all countries in all times. While fascist intellectuals and movement leaders desperately want to decouple the image of identitarian nationalist ideas from street and state violence, this is impossible in the real world. Within a long enough time frame there will always be killing. Fascism could not exist in a period before mass politics. While it is decidedly elitist–it believes that society should be run, in part, by an elite caste–it also requires the mass participation of the public. This means recruiting from large segments of the working class, requiring their complicity in increased oppression. Hannah Arendt described the way this works as the “banality of evil,” to characterize the casual complicity and bureaucratic malaise of the German people in the events of World War II and the Holocaust. This banality is a requirement for fascism to take power, for a mass to believe its benefits worth its cost. This is the unity of populism with elitism, resetting the mentality of the masses so that they can walk themselves to destruction. The conditions that breed fascism, the unfinished equation of late capitalism, are only likely to become more ingrained and dramatic. Crisis is essential to capitalism and will increase as global economic markets continue to shake with instability. That penchant for crisis, mixed with the stratification built into capitalism and the state’s reliance on bigotry, makes fascist explosions inevitable. The Left’s inability to provide a real and viable alternative to the current system, and its capitulation to institutions of power, are what give fascism its strongest rhetorical appeal. An effective anti-fascist movement would do more than simply oppose the fascists in order to then return society to its previous order. Instead, the Left should present a radically different vision that answers the same feelings of alienation and misery to which fascism presents itself as a solution. Fascism’s ability to adapt to changes in technology, social systems, values, ethics, and the politics and practices of the Left is profound. As progress is made in Left circles toward confronting legacies of colonialism, white supremacy, patriarchy, heteronormativity, and other systems of oppression, fascist ideologues will find ways of manipulating those projects for their own advancement. Preventing this cooptation requires understanding the core ideology and methodologies of fascism while being consistent about the motivating ideas of Left organizing, always striving towards greater freedom and equality. Donald Trump rode into the White House on the same kind of right populism that led to Brexit, the UK’s exit from the European Union, emboldened Marine Le Pen and the National Front in France, and allowed the anti-immigrant Alternative for Germany party to enter the state. This creates the possible bridge between the mass populace and fascist or proto-fascist ideologues, who want to see a society of enforced inequality and essentialized identity. This bridging is a necessary precondition for a mass fascist societal shift, and should be seen as a part of the concentric circles that give fascism its ability to enact mass violence. Resistance to fascism must then take on the form of mass politics as well, going after the macropolitics of right populism that bridge mainstream conservatism to the fascist cadre. This cannot be done only by a radical fringe, but should be done by mobilizing both the base that fascism recruits from and the mass marginalized communities that it targets (which make up the vast majority of the working class). The most effective counter to fascist recruitment is Left mobilization, and the only thing that stops mass violence is mass refusal. White supremacy and social hierarchy are implicit in class society, but fascism seeks to make it explicit. The Left’s counter to this can also be to make that oppression explicit, to spell out the underlying hierarchies of civilization so as to undermine the fascist progression. The only thing that will end fascism in perpetuity is to destroy the mechanisms that allow it to arise in the first place. Destroying the impulses of authoritarianism and intrinsic inequality is a requirement for eradicating fascism from collective consciousness. The only thing that can do this is a revolutionary movement that goes far beyond simple reactions to the brutal movements of fascists. Robert O. Paxton, “The Five Stages of Fascism,” The Journal of Modern History, Vol. 70, No. 1. (Mar., 1998), pp. 1-23.